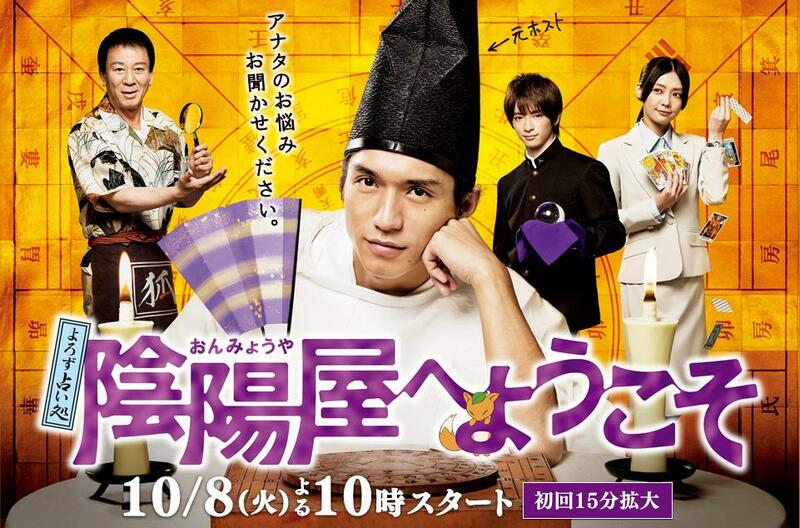 Abe no Shomei (Nishikido Ryo) is a fake fortune teller who has no psychic powers but displays the sign ‘Yorozu Uranaidokoro’ at Oji in Tokyo’s Kita district. Despite his good looks, he has a barbed tongue, finds most things bothersome and is aloof. He will not do work that is not lucrative. Although he serves customers looking like an imposing medium, he is evidently shady. But he smoothly solves whatever difficult problems or troubles they have with logic, ingenuity and eloquence from his former days as a host. He possesses an enigmatic charm which makes every customer go away feeling extremely grateful to him. if you can't accsess the links, it's mean you must join in their community first! !